FACT IS YOU LOVE YOUR HORSE. GET HIS DIET RIGHT FROM THE GET GO. HOW CAN FEEDXL HELP YOU? Some of the most common pieces of feedback we receive here at FeedXL is ‘With FeedXL, I know I am feeding right’ or ‘FeedXL takes the guesswork out of what I should feed’. And this is exactly what we aim to do; give you a tool that takes away the influence of marketing bias and claims and allow you to quickly and easily assess your horse’s diet using supported science (without it actually feeling scarily scientific!). In fact it is fun to use and many members claim it to also be addictive (consider yourself warned!). Use FeedXL to come up with the best diet for your horse and feed it with confidence! FeedXL means I can work it out for myself without having to listen to everyone’s conﬂicting advice and opinions. A welcome relief. 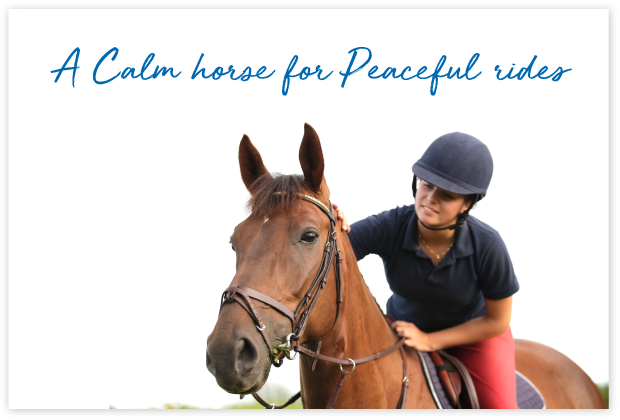 A lot of time and education goes into creating calm yet responsive horses. 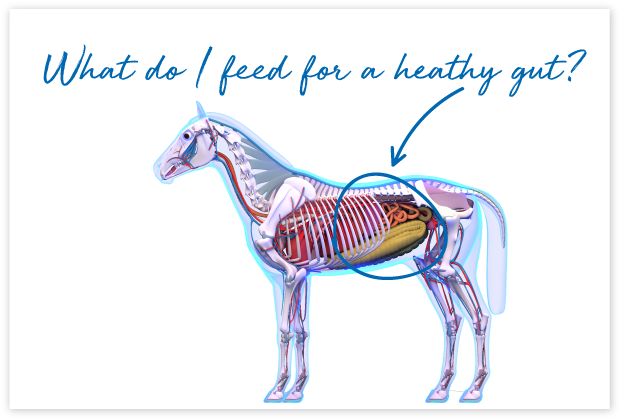 There are many factors that go into determining a horse’s behaviour, and nutrition is certainly one of them. Use FeedXL to select feed ingredients that are less likely to affect behaviour and create diets with all the nutrients needed to support a calm demeanour. You can also create diets to cater for different work days. 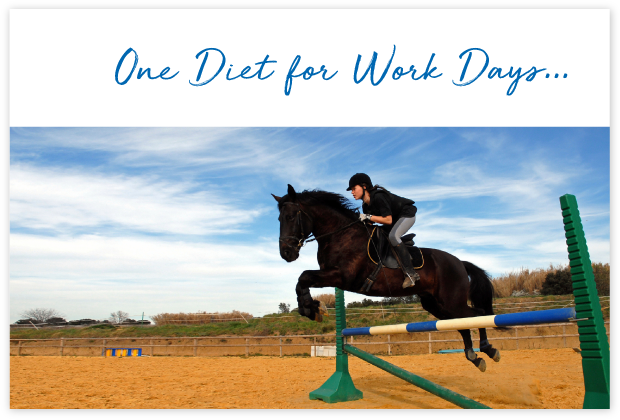 For example if your horse is ridden 5 days per week and rested for two, create a diet suitable for work days and another that is lower in calories suitable for rest days. That way your horse will always get what he needs, but when you ride after a rest day he won’t feel too energetic. Another successful year with FeedXL diets. Very happy to report that my ultra-spooky mare is not only looking great and feeling fabulous, bt that even though I’ve switched to a high grain diet, those UFOs aren’t scaring the pants off her anymore! Just goes to show that if the diet is balanced, many previous behavioural and physical issues become non-existent. 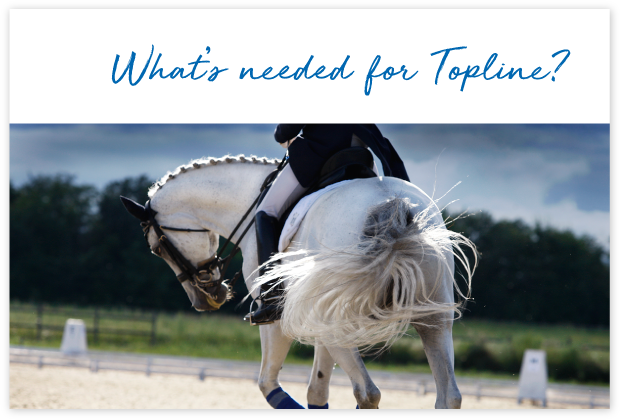 Building muscle and topline is like baking a cake. You can only do it if you have all the ingredients you need. Horses need the right amino acids, enough calories, minerals like zinc and vitamins like Vitamin B6 to make protein and effectively build muscle. 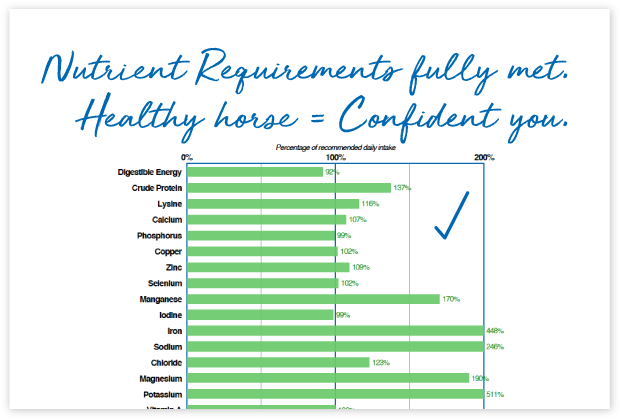 If any of these nutrients are too low in your horse’s diet, capacity to build muscle will be limited. FeedXL assesses your horse’s diet and will show you if any of the nutrients he needs to build muscle and topline need to be added to meet requirements and support muscle building. This is “Ice” my two year old blue-eyed homebred Pinto… I have had him on FeedXL diet for all of his life from the moment he was weaned. FeedXL is a great product that allowed me to formulate many different diets for him at a moment’s notice to allow for his growth needs. He has always shined in body and muscle due to my ability to change his dietary requirements at anytime. Joints need to be fed to stay healthy! Nutrients like copper, zinc and manganese are all crucial for healthy cartilage. 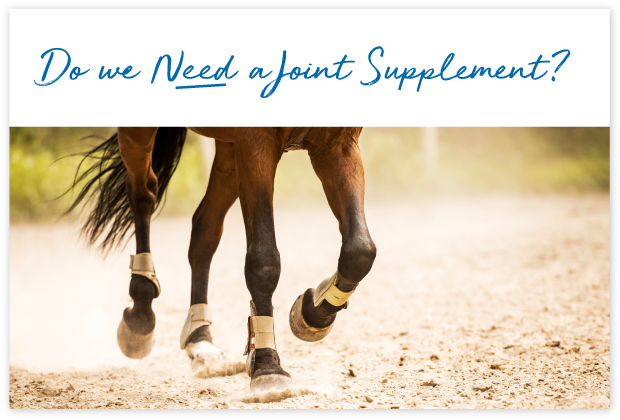 So before you reach for a joint supplement, use FeedXL to make sure you are feeding all of the vitamins and minerals needed for long term joint health. Then, if you still feel you need a joint supplement, use FeedXL to help select a good one and use it with the confidence of knowing it will have maximum effect when fed together with a well balanced diet! Your horse is heavily reliant on the squillions of bacteria living in his gut. These friendly little bacteria are responsible for the digestion of ﬁbre, the production of vitamins and they undoubtedly have a role to play in behaviour and immune function. Healthy gut bacteria, healthy, calm horse! 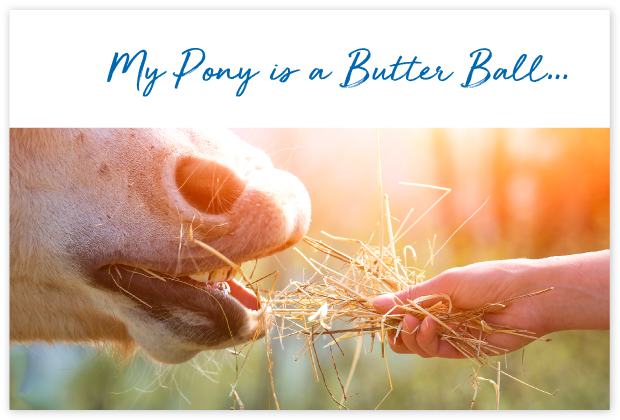 Unfortunately the opposite also applies, and by feeding incorrectly you can very quickly get your horses bacteria out of balance and cause behavioural changes, vitamin deﬁciency, poor hoof quality, colic, laminitis and endotoxemia amongst a host of other issues. Let FeedXL guide you in putting together diets that will optimise gut health and keep those little bacteria happy! Horses and ponies are big animals and it is no secret to any of us that they are not cheap to feed. But, optimum nutrition can be achieved on a budget, you just need to know what you do and what you do not need to add to your horse’s diet to achieve it. And this is where FeedXL comes in. 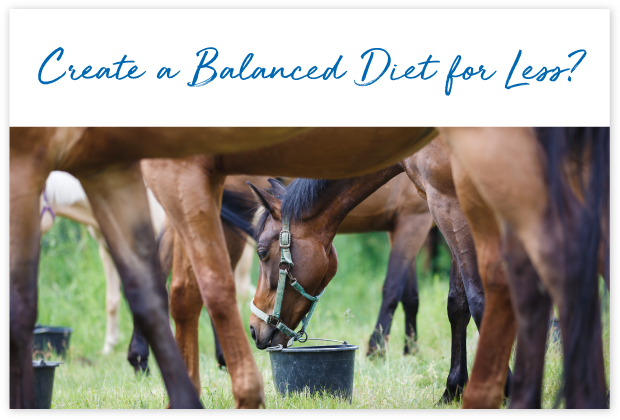 You get to see very quickly what is missing from the diet and add only these nutrients without a whole lot of expensive, extra stuff your horse is unlikely to need! I used it mainly as a cost-cutting device and found it very helpful from that perspective. I have built all my diets around the same kind of frame and adjusted for each horse and the conditions they’re in. I’m an over-feeder if anything and it certainly made me realize that, and saved me a few hard earned dollars in the long run. The words ‘Low Starch’, ‘Low Sugar’ and ‘Grain-Free’ are used a lot on feed and supplement packaging, but, does this mean they are safe for your insulin resistant, EMS, PSSM or laminitic horse or pony? Unfortunately no, it doesn’t mean they are safe. Even feeds ‘certified’ by groups like the ‘Laminitis Trust’ aren’t necessarily safe as their criteria for certifying feeds as safe aren’t strict enough (a feed only has to be less than 40% starch and sugars to be registered with the laminitis trust). 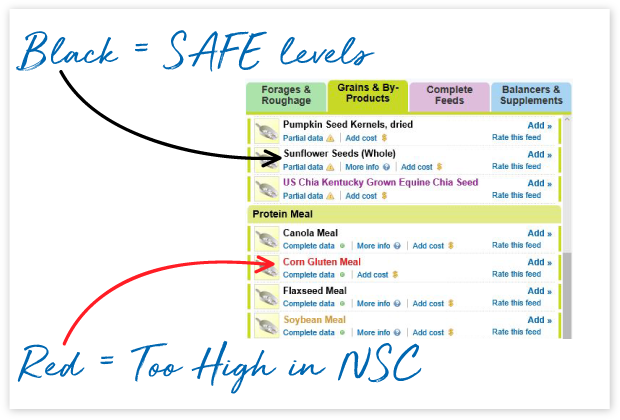 FeedXL uses starch and sugar levels to colour code the ingredients in its extensive database to show you which should be safe and which won’t be, saving you hours of time and putting a stop to years of heartache caused by feeding feeds you thought were appropriate! My retired aged thoroughbred is now a LOT cheaper to feed, whilst I am now ensuring he gets all the vitamins and minerals he needs without tons of processed pellets that were overloading him with carbs and sugar for no reason. And it shows. He is maintaining a healthy weight through the onset of cold weather and a glossy coat. And my little mini with cushings and insulin resistance is also looking much less ‘poddy’ now – I never realised how little they really need to get by. I was killing her with kindness. But FeedXL takes the guess work out of devising a healthy balanced diet. Many common diseases like laminitis and tying up need close management of nutrition if they are to be overcome. FeedXL will assist you in selecting appropriate feed ingredients (for example it will show you feeds, forages and supplements in the data that contain <12% starch and sugars), it will adjust nutrient requirements so it is appropriate for horses with specific conditions (for example increased vitamin E for horses that tie-up) and will ensure you meet optimum nutrient requirements to support immune function and overall health. Many horses who were thought to be at the end of their careers due to disease have gone on to compete and win at the highest level on FeedXL diets! Plus FeedXL calculates diet costs so that you can see exactly what each ingredient is costing you and allows you to easily compare different feed or supplement options to find the one that works best for your horse and your budget. FeedXL has been crucial to successfully managing my PSG gelding with metabolic concerns as well as allergies. 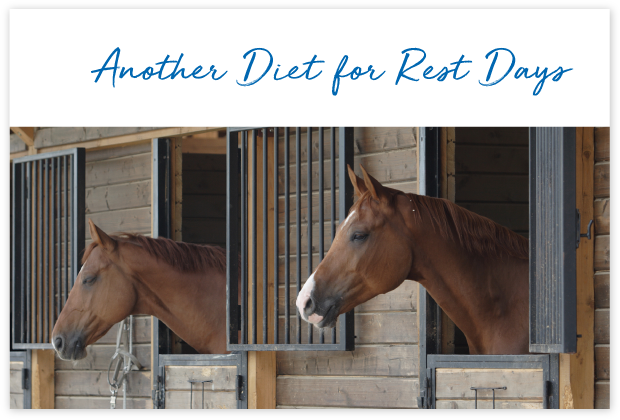 It allowed me to design a diet that met his needs as an upper level Dressage horse while fully supporting his health. I highly recommend this program! Balanced nutrition is the foundation of a strong immune system. Get nutrition right and your horse’s immune system will have the support it needs to launch a rapid and effective attack on any disease that may challenge it. 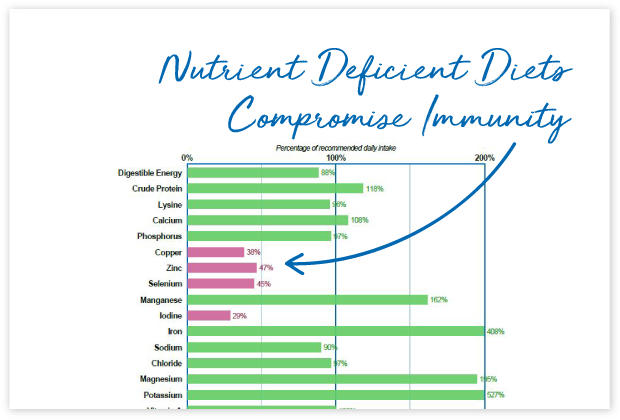 FeedXL will help you to make sure nutrients like zinc, selenium, copper, vitamin E and folic acid are in the diet in optimal amounts to support a strong immune system. It was interesting when Equine Influenza came to Australia. We had thoroughbred farms with hundreds of mares in early pregnancy who all caught the flu and yet carried their early pregnancy without an issue and recovered quickly. We also had many backyard ponies in my area catching the flu who ended up dying from complications because they just couldn’t fight it off effectively. I put this down to nutrition. The mares had been on well balanced diets for years on end, where the ponies were unlikely to have been on a diet that fully met their requirements and they simply didn’t have what they needed for their immune system to launch an effective response to something as simple as influenza. Reproductive performance and foal health is heavily influenced by nutrition. Antioxidant deficiency may affect stallion fertility and reduce a mare’s ability to pass on immunity to her foal. Iodine deficiency can cause stillbirth, weak foals or horribly bent legs. Protein deficiency will result in reduced milk production, slow foal growth and loss of muscle in your mares. 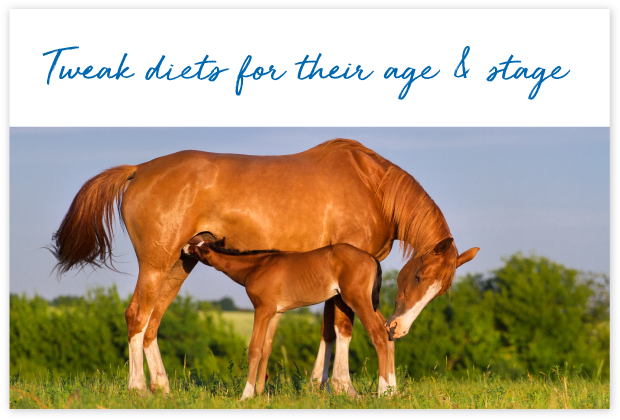 Avoid all of these issues by using FeedXL to create balanced diets that will give you fertile stallions, healthy mares and robust, well-put-together foals. FeedXL helped me ensure Cherry’s health and nutrition before, during and after pregnancy and guaranteed Dancer the best possible start in life. FeedXL continues to provide me the opportunity to ensure my horses nutritional needs are been met, no matter what their life stage. 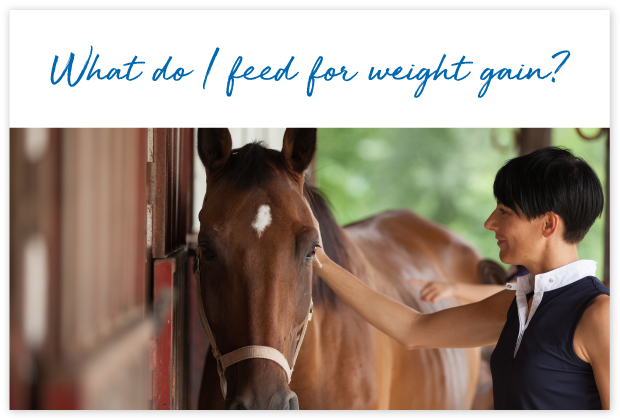 What do I feed to help my horse gain weight? It is a question many horse owners ask themselves, especially when you have reached the point where you feel like you are spending your entire retirement savings on one horse and he still isn’t gaining weight. Weight gain is dependent on good gut health, efficient digestion and the diet meeting all nutrient requirements. Sometimes it is just a matter of meeting a requirement for a nutrient like zinc that will be key to your horse finally gaining weight. Other times it will be adjusting your feed regime to build up the population of fibre fermenting bacteria in your horse’s hindgut or simply reducing the size of meals fed to improve overall digestion efficiency. The good news is often our members find on a FeedXL diet, they feed less, spend less and still get a much better weight gain response. How can I make my horse lose weight? Another question horse owners frequently ask, and trust us, we feel your pain! Nerida and Sam (our two super-duper FeedXL nutritionists) both have overweight, laminitis prone horses or ponies to manage. They know how difficult and often heartbreaking this can be!! But FeedXL can definitely help. The thing with weight loss diets is while you want to restrict calories, you need to be very careful not to also create amino acid, mineral or vitamin deficiencies. If by restricting calories you also create zinc and copper deficiency for example this will affect things like hoof growth, immune function and joint health. 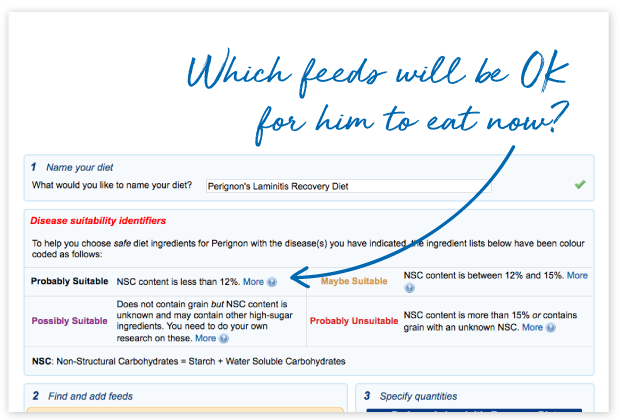 Using FeedXL you can create calorie restricted diets that still meet your horse or pony’s requirements for all the other nutrients. The result, they can lose weight but still stay healthy! Feed XL really opened my eyes to how unbalanced a “balanced” diet can be. It has been a fantastic tool to help me make sure my horses are getting everything they need, especially through spring on their “laminitis watch” diet.